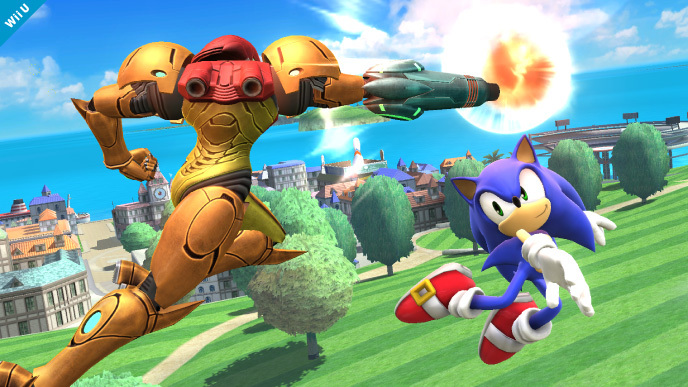 The blue speed demon returns for his second Super Smash Bros. title. 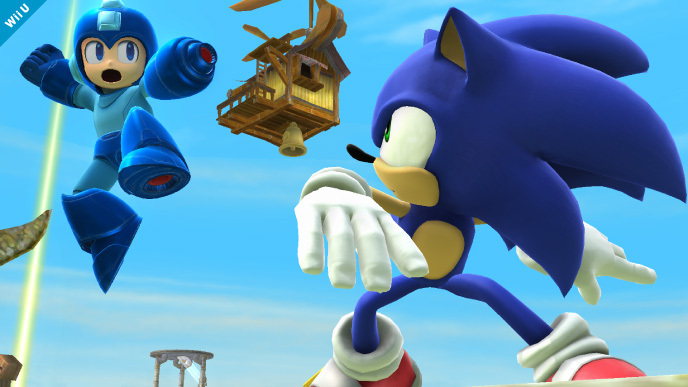 Our favorite smug hedgehog is one of the many returning members to the Smash Bros. family after his debut in Brawl. He was first announced as a character in today's Nintendo Direct, and his character page on the official website accompanied the announcement soon thereafter. His several screenshots show him as cocky as ever. 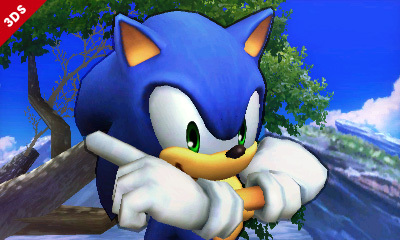 And if his controls are anything like they were in the previous title, he'll zoom around characters and off stages. 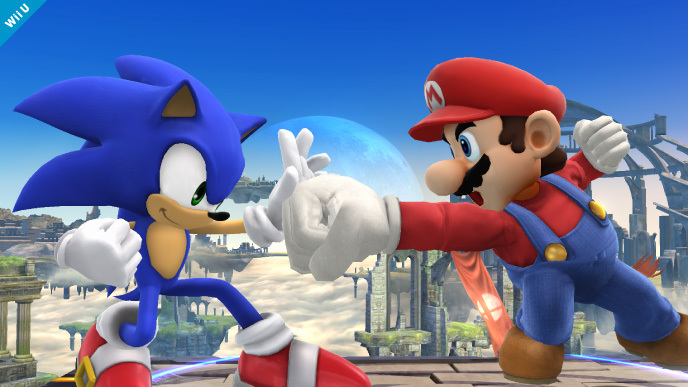 This announcement came after Nintendo president Satoru Iwata showed footage of Mario & Sonic At The Sochi 2014 Olympic Winter Games. 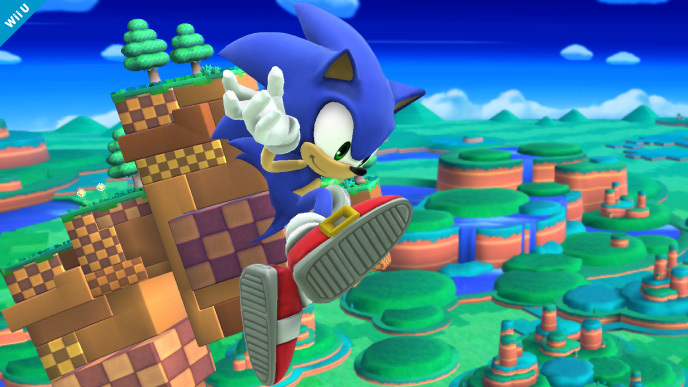 Sonic's next action-adventure platformer, Sonic Lost World will be released this month. 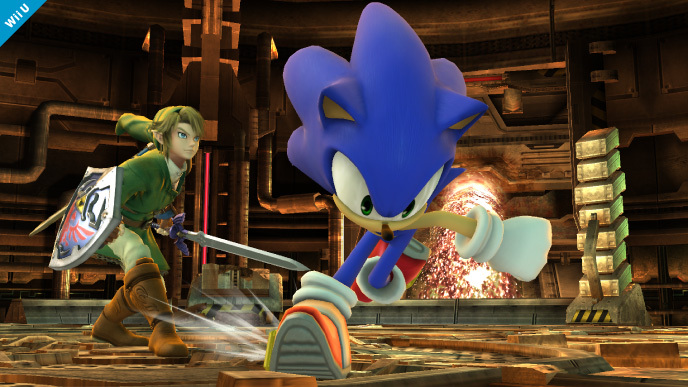 Interestingly, the last announced character to Super Smash Bros. for Wii U and 3DS was Toon Link, whose retail release of Wind Waker HD is approaching. 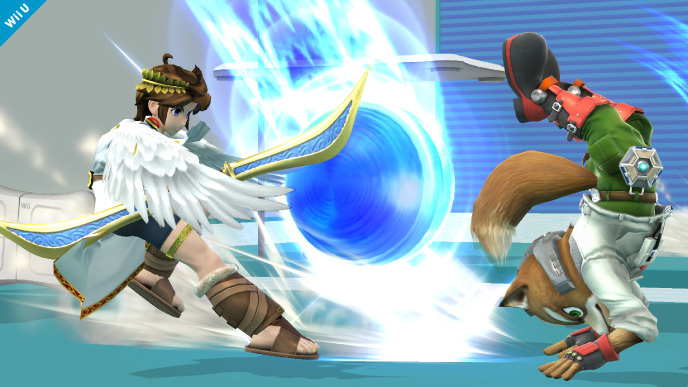 Previous announcements for the Animal Crossing villager, Olimar, and Luigi were also accompanied by related news pertaining to their respective series. 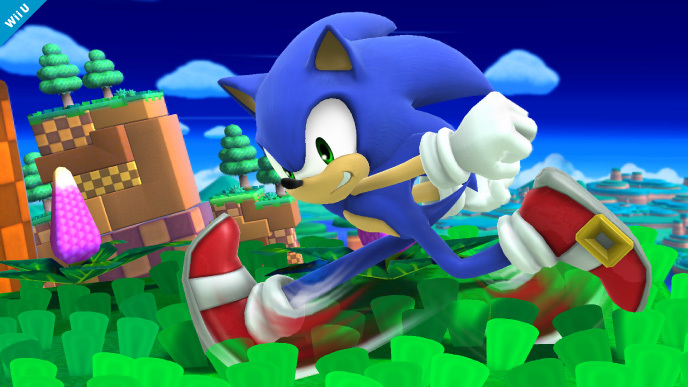 In Brawl Sonic was the fastest character, making him hard to control but fantastic if mastered. 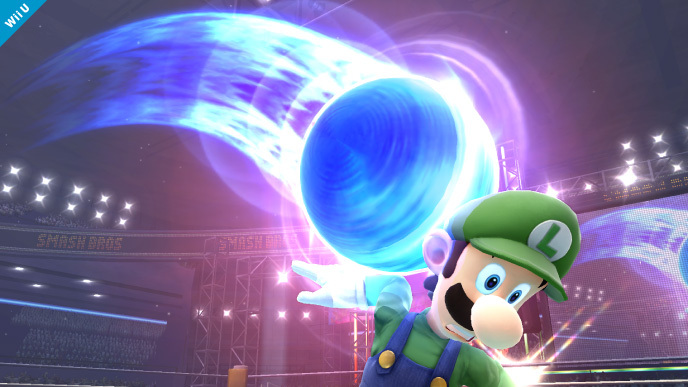 He has a high vertical recovery and can charge at people in a ball. 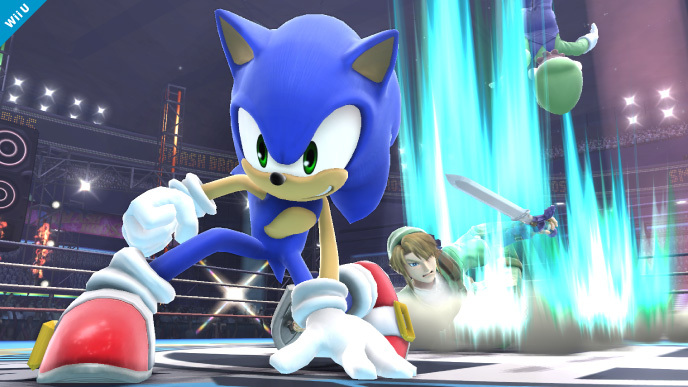 The "blue blur" is the 17th character confirmed for the new fighter game. Who will be the 18th?